Gone are the days when the terms “alternative finance” and “peer-to-business lending” were new to commercial finance brokers. The problem now is not figuring out what this new finance is, but understanding who to go to when. 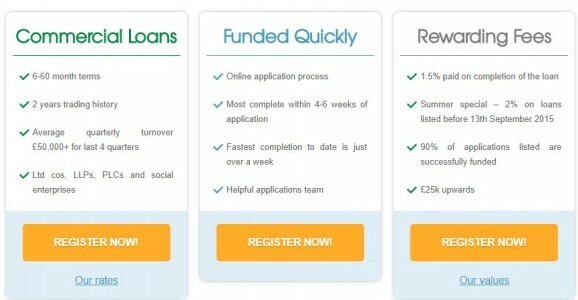 The peer-to-business lending industry has grown significantly over the last five years, and there are now numerous platforms offering finance to all ranges of businesses, for almost every reason, and at vastly varied rates. Many commercial finance brokers, under pressure from their clients, will often simply resort to a platform they have used before, or one whose USP is that it’s cheap, fast and simple. Whilst speed and price are most certainly key to determining where to find the right deal for the client, they should not be the be all and end all of the decision process. Commercial finance brokers should consider whether a peer-to-business platform, or any platform for that matter, can offer a service beyond the financial transaction, one that will be of greater benefit to their client in the long term. They should also review whether they can be more creative in taking a little longer to more effectively structure the finance for their client through a peer-to-business lender. rebuildingsociety.com is all about providing more than a simple financial transaction. We aim to assess each application on its own individual merits, to then go through with the deal, should it be possible to do so safely. We also aim to build long-term relationships with our borrowing businesses by supporting them, not only through the initial fundraise, but also in developing and expanding their businesses, all while respecting the relationship between broker and business. We do not take a “computer says no” approach and neither do our lenders. We do use computers of course, we’d be daft not to, but we also apply logic, business acumen and risk management when reviewing each application. Able to think like the businesses that apply to us, our team spends time understanding your client’s business and their plans for the future. This helps us when it comes to offering you solutions that will suit your client, from finance for business acquisitions and working capital R&D to debt consolidation. For example, we’ll discuss structuring the finance in a manner that makes the best use of the director’s ISA allowance, bolting on security in return for a lower initial interest rate. We’ll also look at whether any of our partners can assist the client in any way, offering marketing or accountancy advice, among other things. Contact our Business Development Team to find out more. or give us a call on 0113 8150 244 to run a deal by us on the phone.